Are you done designing your shower floor? Well, if yes then now is the right time to look for a linear drain for your wet room as that will be the best possible architectural ending to your masterpiece. The best part is that the linear drain industry is quite vast and there’s is just so much that you can choose here. Now, before getting started with the things you need to consider while choosing a linear drain, let’s first talk a bit about what a linear drain actually is and how it adds up to the overall look of your wet room. A linear drain basically is a sleek, streamline type of drain that mostly comes in a rectangular shape. The main difference between a linear drain and a traditional one is the length of the drain, and the linear one is comparatively much longer. The reason why you should always opt for a linear drain is that it helps you get rid of the water on your shower floor easily and quickly. The usefulness of these drains is not the only reason why we love it, in fact, linear drains are quite fashionable too, and they come in different styles and designs which is another attractive and appealing thing about them. Now, honestly, as the market of linear drains out there is quite vast, it can be a daunting task for you to pick on any one of the styles and types which is why you should opt for the ECT linear shower drains. They are the best in design and in terms of quality too so you won’t be disappointed. Know that linear drains are always a safer option than the traditional counterparts as they are flat against the surface of the floor and this can be a plus point for someone who has a handicapped person at home. You see, it’s easier to move the wheelchair on a linear drain than on a traditional one, and hence these drains are safer and indeed they are better options. Most of the linear drains can fit at any place in your shower room and honestly, these types of drains are the best. These drains are all flat, and they have long lines which makes it easier for them to fit wherever you want them to. In fact, some models even come with the ability to extend or shorten the size. So, we’d suggest you to go for a linear drain that has such great features and options as this way it will be more convenient for you. It doesn’t matter if you want to install the drain yourself or if you want some professional help with it. You can always go for an option because installing a linear drain is no rocket science and anyone can do that if he or she has the time for it. The one thing to take care of is that you should fix your linear drain on your shower floor where the floor slopes a bit so that the water can go straight into the drain without any effort of yours. This is all you need to know about linear drains. 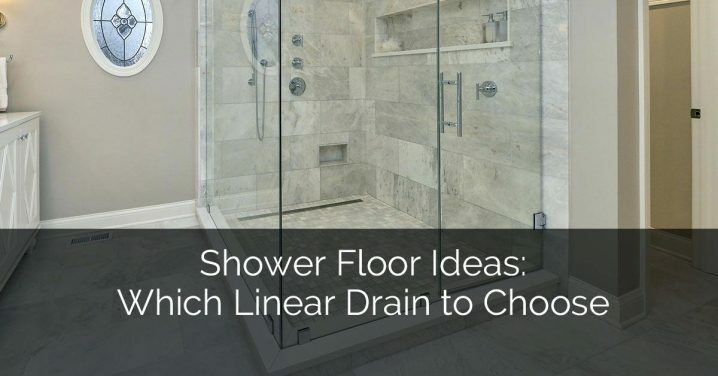 So, now without wasting any more time go and start hunting for a good linear drain for your shower floor. Also, be careful while choosing the style and design of the drain because that will eventually matter a lot. And buy the linear drain from a reliable country that actually manufactures quality products because let’s face it, you don’t want to end up spending your money on the wrong product, right?